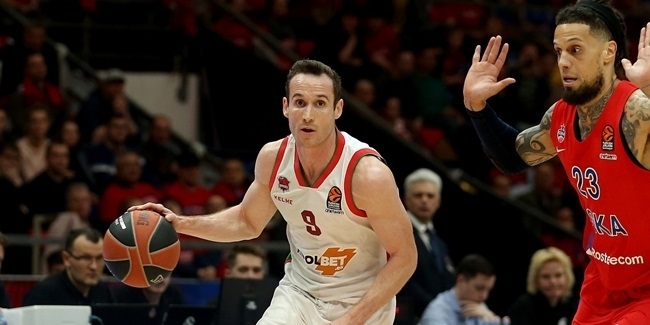 With Baskonia Vitoria Gasteiz in the midst of the hunt for a playoffs spot, forward Tornike Shengelia stepped up in a huge way on Thursday, leading his team to an all-important 87-77 win over Khimki Moscow Region to earn his second MVP of the Round honor this season. 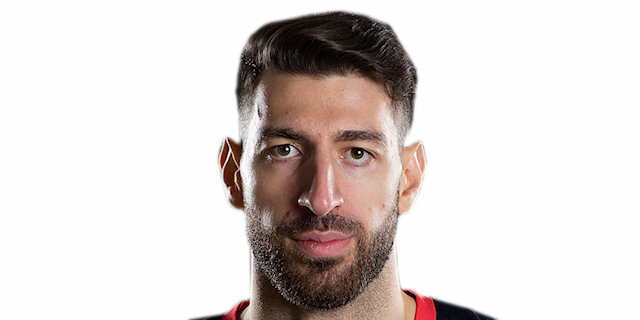 Baskonia moved to within one victory of eighth place as Shengelia scored 15 points, making 6 of 12 two-point shots and 3 of 5 free throws, and also pulled down a career-high 15 rebounds. It marked his fifth double-double this season and his rebounds total tied Baskonia's highest going back 11 years. His 12 defensive boards also matched the second-most for the club this century. Shengelia added 3 assists, 1 steal, 1 block and 4 fouls drawn for a performance index rating of 28, the highest of Round 24. Second this week with an index rating of 27 was Nando De Colo of CSKA Moscow. In a resounding 73-93 road win at Maccabi FOX Tel Aviv, De Colo led CSKA with 19 points, 4 assists, 2 rebounds and 2 steals. Following De Colo is Khimki's Anthony Gill, who scored 21 points and had a PIR of 26, both personal bests, to go with 6 rebounds, 2 blocks and 1 assists in the team's loss at Baskonia. 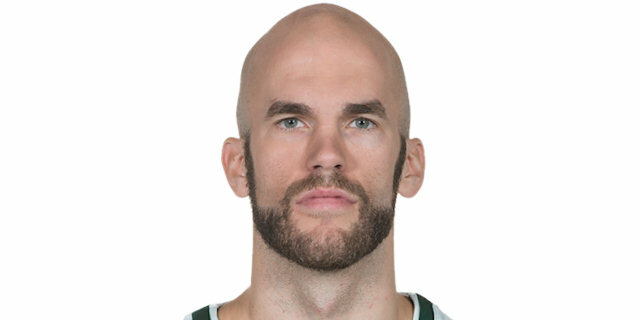 Nick Calathes of Panathinaikos Superfoods Athens accumulated a PIR of 25, the fourth highest of this week, in an overtime home loss to archrival Olympiacos Piraeus, Calathes posted 23 points, 10 assists, 4 rebounds, 1 steal and drew 8 fouls. Rounding out the top five are Calathes's teammate, James Gist, and Kostas Sloukas of reigning champion Fenerbahce Dogus Istanbul, both with index ratings of 24. 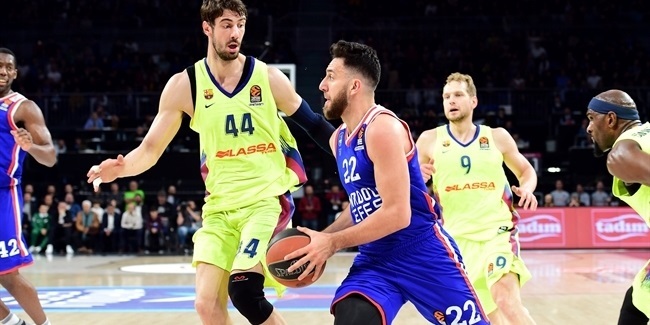 Gist scored a season-high 21 points and posted 6 rebounds, 2 assists, 1 steal and 1 block, while Sloukas netted his season-high of 20 points to go with 4 assists, 3 rebounds and 2 steals in a road win over Real Madrid. Nick Calathes and Khimki's Alexey Shved each scored 23 points, the most of all players in Round 24. Shved improved his league-leading season-average to 21.96 points per game. Shengelia's 15 rebounds were the most in this round and tied for second-most in a single game this season. Shengelia moved into second place in the season-long rebounding rankings, with 6.7 per game, behind James Augustine of Unicaja Malaga, who averages 6.8. Calathes had 10 assists, upping his overall lead in that category to 8.4 per contest. Kyle Hines of CSKA Moscow and Aaron White of Zalgiris Kaunas led all players in Round 24 with 3 steals apiece. Brad Wanamaker stayed atop steals rankings for the season with 1.6 on average. 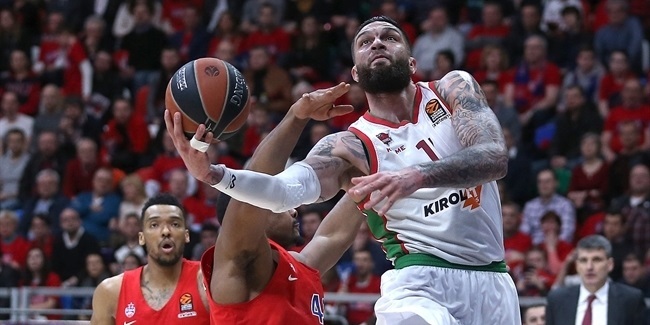 Eight different players – Adam Hanga of FC Barcelona Lassa, Jonah Bolden and Artsiom Parakhouski of Maccabi, Arturas Gudaitis of AX Armani Exchange Olimpia Milan, Rodrigue Beaubois and Vincent Poirier of Baskonia, Anthony Gill of Khimki and Bryant Dunston of Anadolu Efes Istanbul – had 2 blocks in Round 24. Dunston is the leading shot blocker this season with 1.7 blocks per game. There were two double-doubles this round, Calathes with 23 points and 10 assists for his seventh double-double of the season, and Shengelia amassing 15 points and 15 rebounds for his fifth.